The Stranger June 16, 2016. Seattle. What would Millis say his goal was with Indian Talking Machine—besides to make a lot of money? 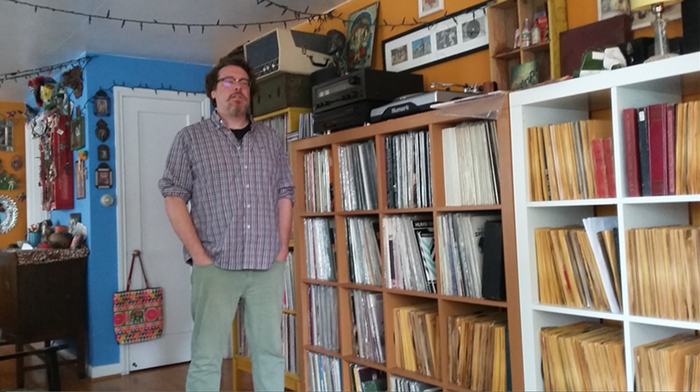 He laughs and then says, “I had been collecting 78s for a while. [Climax Golden Twins band mate] Jeffery Taylor and I had done the Victrola Favorites book and the cassettes and we’d spent a lot of time buying what we could. I was really into the Anthology of American Folk Music, those reissues. Yet I was always interested in Indian music. I always wanted to learn more about it. 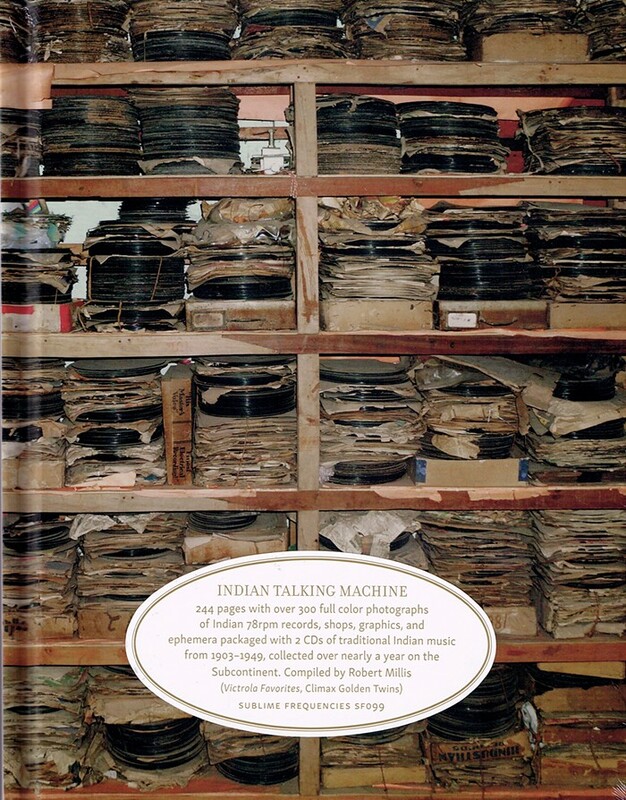 The 46 tracks on Indian Talking Machine span from 1904 to 1949 and the range of styles and profundity of the compositions are dazzling. You don’t need to be an ethnomusicologist to derive pleasure from ITM‘s panoply of entrancing sounds on sitar, veena, flute, banjo, esraj, tabla, sarod, violin, harmonium, and other instruments. These tracks may come from the early 20th century, but they sound like they’re laying groundwork for ’60s psychedelia. Indian music seems to possess a more innately cosmic sound than does Western music. Millis responds to this observation with “I think it’s because you do too many drugs,” which may be true. “That was the interesting thing with Indian music. When it hit hard with Ravi Shankar and the Beatles in the ’60s, and everyone thought it was psychedelic, and it is to our ears especially because of the drone aspect of it. These instruments have been developed to be so unique to their purpose. And they have such a shimmering sound, to our ears. So all that stuff does feed into psychedelia, for sure.